Emerging trends in teaming and the collaborative work environment was the primary driver for this concept. 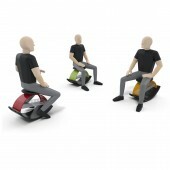 Span is a seating concept that merges the principles of a rocking horse with the simplicity of a stool. Light weight and compact, Span combines utility and function in a small envelope. As the modern workplace evolves into a more collaborative teaming environment, small modular seating elements become imperative. Span was conceived to address this specific transformation but as the concept evolved, its application in schools, dorm rooms, hotels, and waiting rooms became evident. Span is a cost effective form that provides intelligent storage and creates value in an emerging market. Span is a simple seating element that can be used in various ways. One can sit in a rocking position like a traditional rocking horse or in a position that allows movement from side to side. With a short base and a single point of contact it becomes very easy to swivel and change orientation/viewing position. Injection molded plastic crown support and rocker base. Chrome wire basket. Fabric and foam cushion over wood seat disk. 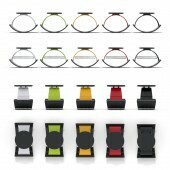 Research was conducted on seating elements that enable rapid teaming. Collaboration is key and simple seating elements that encourage and enable this behavior was the primary driver. The ability to store ones personal belongings within the framework of the seat became a key driver and informed the wire basket storage element. The most challenging part of the activity was to realize an object that worked effectively and efficiently for rapid teaming applications. 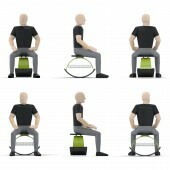 Combining utility and motion to create a fun seating element was the overall challenge. 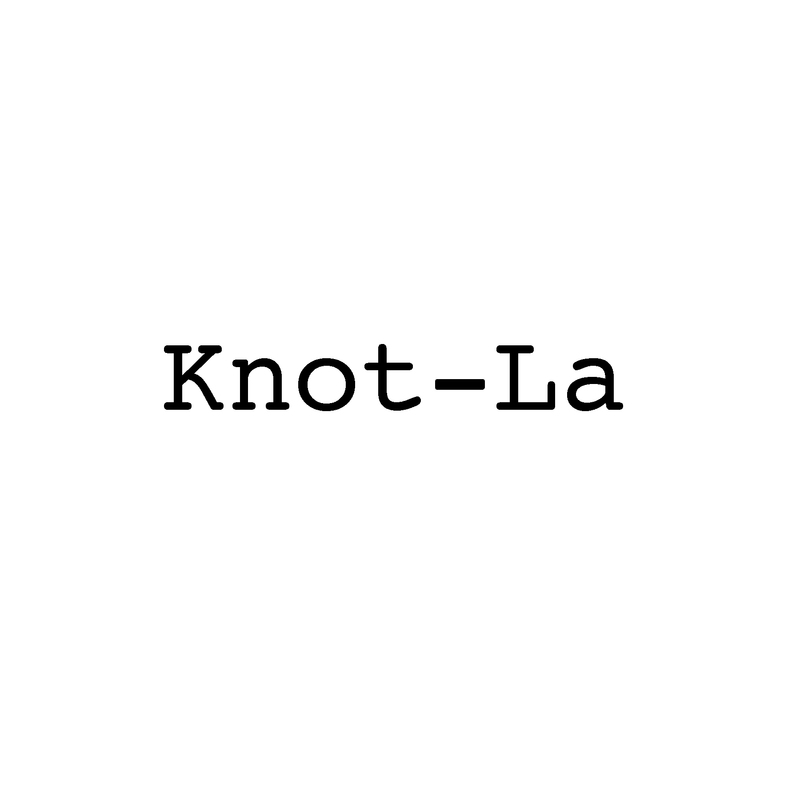 Knot-La is an industrial design studio located in Los Angeles CA. We focus on contract and custom furniture as well as architectural design and fabrication components. 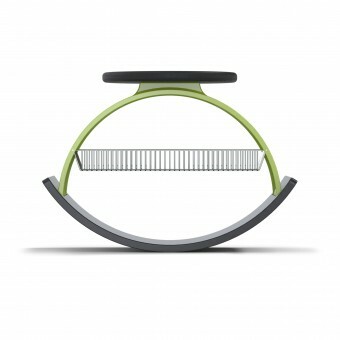 Span Rocking Stool by Jeffrey Koffman is a Nominee in Furniture, Decorative Items and Homeware Design Category. · Click here to register today inorder to be able to view the profile and other works by Jeffrey Koffman when results are announced. 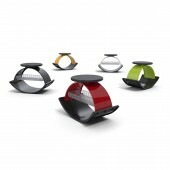 Span Rocking Stool by Jeffrey Koffman is Winner in Furniture, Decorative Items and Homeware Design Category, 2012 - 2013. · Read the interview with designer Jeffrey Koffman for design Span here. · Press Members: Login or Register to request an exclusive interview with Jeffrey Koffman. · Click here to register inorder to view the profile and other works by Jeffrey Koffman. Did you like Jeffrey Koffman's Furniture Design? Did you like Span Rocking Stool? Help us create a global awareness for good furniture design worldwide. Show your support for Jeffrey Koffman, the creator of great furniture design by gifting them a nomination ticket so that we could promote more of their great furniture designs.